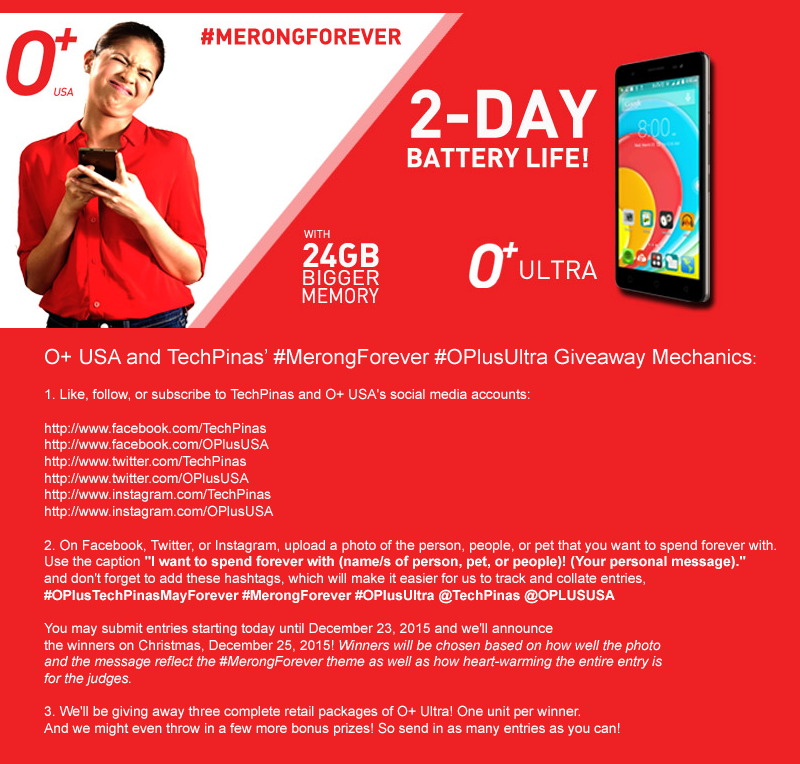 O+ Plus Ultra Smartphone #MerongForever TechPinas Giveaway! 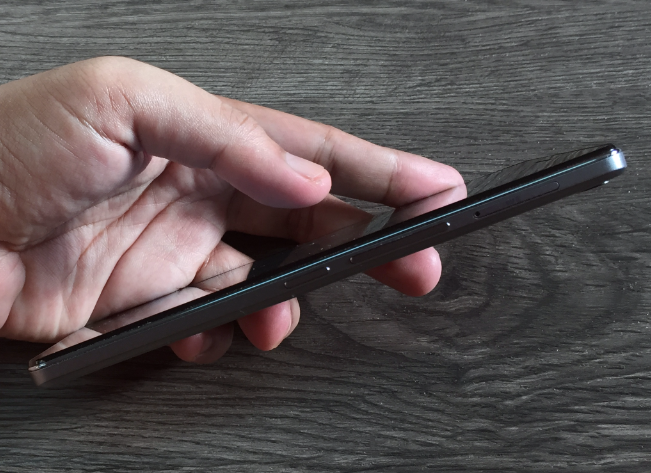 O+ Ultra - the 2015 midrange powerhouse handset of O+ USA - is one of my absolute favorite smartphones this year. And it became all the more special to me when Maine Mendoza aka 'YayaDub' - whom I find fascinating and charming - started endorsing it for the company last month. As I've shared with you guys before, this release is packed with features that mobile warriors and millennials will surely appreciate. 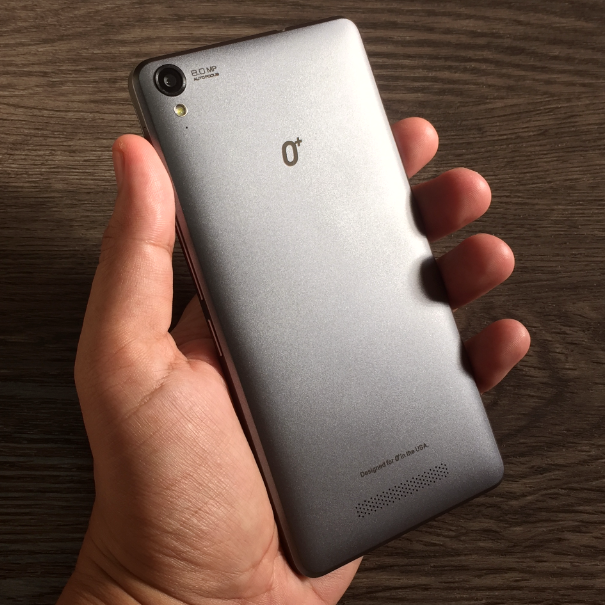 Apart from the fact that it looks sleek and feels solid in the hand, O+ Ultra also sports a massive 5.5-inch HD display that's perfect for enjoying content, an 8 MegaPixel camera with BSI sensor that you can rely on to be your point-and-shoot camera replacement, and a 5 MegaPixel front-facing camera with Soft LED flash that gives you clear and bright selfies regardless of the lighting condition. 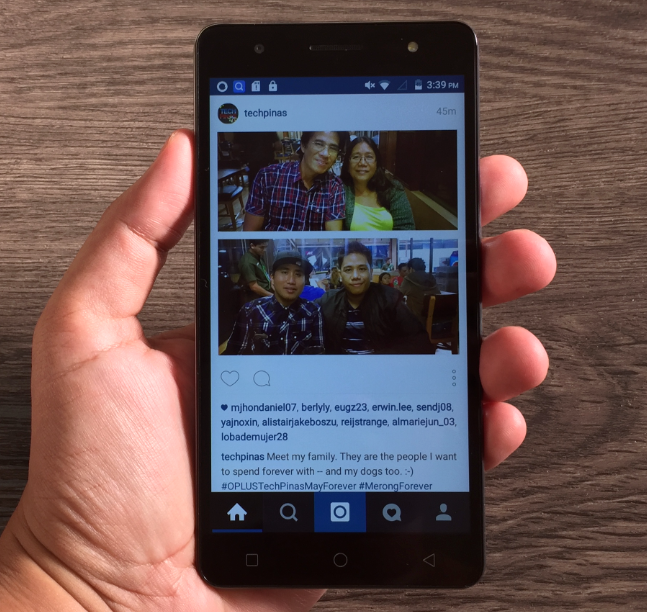 But I think the best part is that this Quad Core Android Lollipop phablet is powered by a ultra-large 4,000 mAh battery - that's almost twice the size of packs powering other smartphones - delivering more than two days of uptime with regular use. For me, considering everything that it offers, O+ Ultra is certainly one of the best 2015 Android phablets that you can get for less than Php 8,000. So if you're on the look out for a midrange handset that delivers and gives great value for money, I would recommend that you give this model a test run at an O+ Concept Store or kiosk near you. Since we are already well within this year's 'Season of Giving',O+ USA and TechPinas have decided to hold this simple giveaway to let some of our followers experience all the wonders of O+ Ultra! Unlike other gadget bonanzas we've done together, however, we want to do it via a contest on Facebook, Twitter, and Instagram! Don't worry; Our mechanics are very easy and everyone is invited to send in their entries! You may submit entries starting today until December 23, 2015 - my birthday - and we'll announce the winners on Christmas, December 25, 2015! Winners will be chosen based on how well the photo and the message reflect the #MerongForever theme as well as how heart-warming the entire entry is for the judges. 3. We'll be giving away three complete retail packages of O+ Ultra! One unit per winner. And we might even throw in a few more bonus prizes! So send in as many entries as you can! May we all discover the true meaning of forever this Yuletide! Merry Christmas, TP Friends!